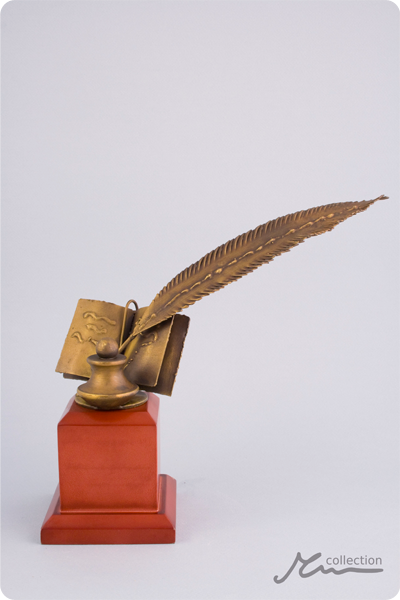 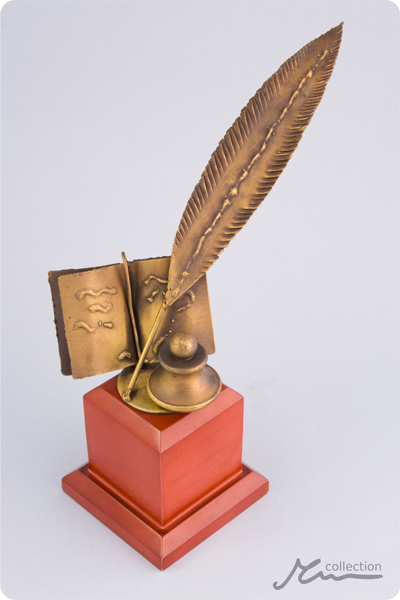 Fountain Pen Statuette: an inkwell, a quill and a book are the attributes of a writer, a librarian, a journalist or a chronicler. 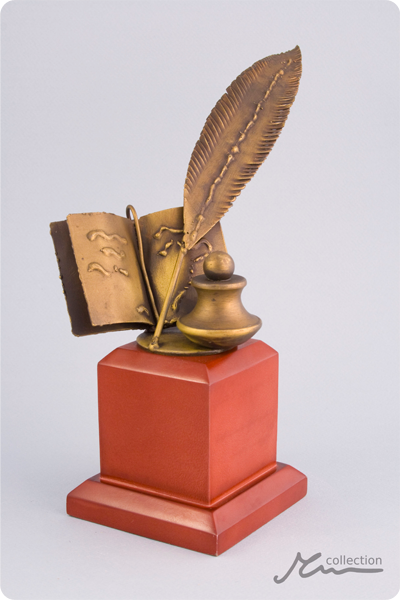 This beautiful statuette makes an exceptional reward for literary folk and would stand out in any trophy collection. 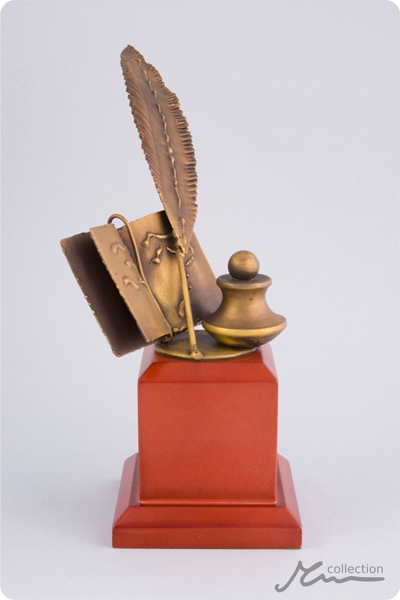 Meticulously rendered, this statue delights with its perfection and detail.